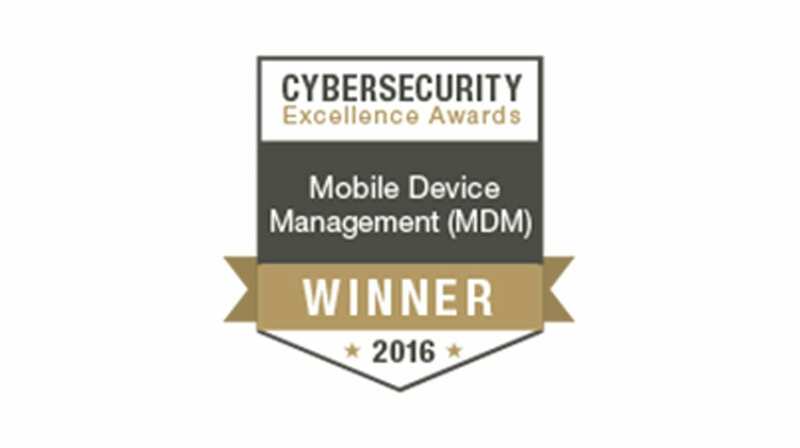 The Information Security Community has recognised SOTI’s flagship enterprise mobility management (EMM) solution, SOTI MobiControl, as the 2016 Cybersecurity Excellence Award winner in the Mobile Device Management (MDM) category. SOTI MobiControl was selected based on its ability to provide a holistic mobile security approach. CIOs and IT organisations rely on SOTI MobiControl to securely manage their vast mobile ecosystem – from form factors to capabilities, operating systems, applications, data, content, and communications protocols. In a recent enterprise mobility market study of senior IT professionals across industries by SOTI and IDG Enterprise, security concerns topped the list of mobile priorities with 69 percent of IT decision makers citing mobile security, hacking and malware as their number one concern. With concerns about a growing connected threat landscape, security-conscious enterprises count on SOTI to enable strategic mobility implementations and optimise investments without exposing themselves to security gaps and related threats. The 2016 Cybersecurity Excellence Awards honor individuals, products and companies that demonstrate excellence, innovation and leadership in information security. The awards are produced in cooperation with the Information Security Community on LinkedIn, tapping into the experience of more than 300,000 cybersecurity professionals to recognise the world’s best cybersecurity products, individuals and organisations. SOTI MobiControl has been delivering mobility management to the enterprise for more than 12 years, well before smartphones were introduced to the market and became mainstream in the enterprise. MobiControl includes many industry firsts, including distracted driver policies, kiosk mode and remote support features.Today, SOTI MobiControl has evolved into a comprehensive solution that manages content, applications, security, and the broadest range of mobile and IoT devices including smartphones, tablets, PCs, laptops, digital signage, wearables, mobile POS, printers, scanners and more. The Cybersecurity Excellence Awards are produced in cooperation with the Information Security Community on LinkedIn, tapping into the experience of over 300,000+ cybersecurity professionals to recognise the world’s best cybersecurity products, individuals and organisations.